December 2018 Off The Tracks Podcast R&D by Kate Chapman. Writer/Performer. 2018-2019 BBC Writersroom Access Group Writer. 2018-2019 Clore Fellowship 2018-2019 Theatre fellowship supported by Gatsby Charitable Trust. Award winning writer and performer, Sophie Woolley will be taking the helm of our Adult Company this season. She will be delivering a toolkit on how to make a one-person show. This will include sessions on writing, performing, strategy, marketing and funding. This is for emerging writer-performers. To book: Please send a short biography and a piece of writing (a monologue, short extract). A commitment to the entire process is needed, so please make sure you can attend all sessions. Please send you application to titilola.dawudu@ovalhouse.com by the 27th August 2018. I’m developing a one person show based on my own experience of going totally deaf and regaining my hearing via cochlear implant. Augmented scratch, Suitcase Award showcase. With support from Ramps on the Moon and Sheffield Theatres I am collaborating with choreographer Martyn Garside and composer, Lee Affen to create a piece of dance performance art. 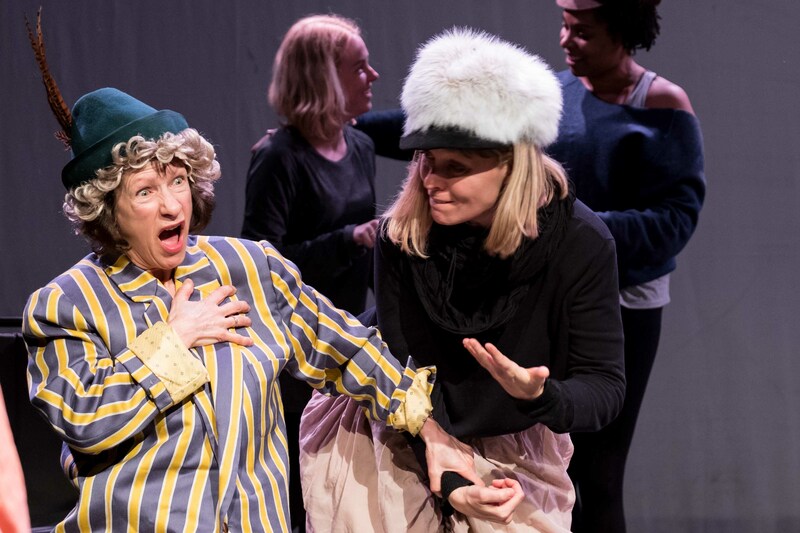 A two week improvisation laboratory with amazing theatre company, Told by an Idiot, supported by Sky Arts, with short film of the project broadcasy on 29 March 2019.